C&M Auto Service Inc. has been a member of the Niles Chamber of Commerce since 2005. The Niles Chamber has given me the opportunity to not only promote my business to other businesses, but has also been an important resource for me to learn about businesses that can assist in providing products and services that I need to support my business. The Niles Chamber is heavily involved in promoting and recognizing local businesses that give back to the community. This puts the local businesses in a positive light and gives the people living in the community (the community in which I reside) a reason why they should shop local. I feel that the time and money it takes to be a chamber member is one of the best values available to promote and grow my business. I am proud and honored to be part of the Niles Chamber of Commerce. I recommend that any business located in or near Niles that wants to grow their business, should join the Chamber and become an active member within the chamber. – Chuck Hartogh, President, C&M Auto Service Inc. I joined the Niles Chamber of Commerce in 2009, so I could increase my client sales. In the process of meeting people and working on the Membership Committee, I developed relationships with people who helped me in various ways to solve my business and professional problems. I have received much more than I ever gave. Thank you to Katie, Brenda and Barb! I’ve been involved with MANY Chambers of Commerce over the years, including five currently. I must say that the Niles Chamber staff are some of the best! Katie, Barb and Brenda are a great team of approachable experts with a nice blend of personal and professional style. The Niles Chamber has helped give a quick start to our new GFS location in Niles. Soon after we opened, our store hosted a Business After Hours which introduced us to many Niles Chamber members and staff. You develop camaraderie with many members who will introduce you to prospective customers at meetings and recommend our business to their other friends and business associates. 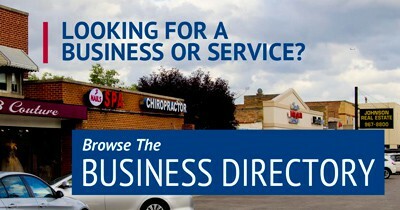 The Chamber members are business and service people that want other business people to succeed. “The Chamber of Commerce has been a central part of my business since inception in December 2000. Regularly, I have policyholders express their connection to my agency through the Chamber and its network(s). State Farm encouraged my involvement with the local Chamber of Commerce from Day 1 as a business owner and I embraced the advice. The Chamber has helped me build a local marketing network including local advertising, recognition and referrals. Many times I am unable to gauge the success of my various marketing efforts, yet I know there are specific avenues of advertising that define the success of a local business – the Chamber is one avenue I rely on regularly.